Spring has officially sprung with the launch of our Spring Sale, so channel the energy of exuberant nature and freshen up your home décor without breaking the bank. 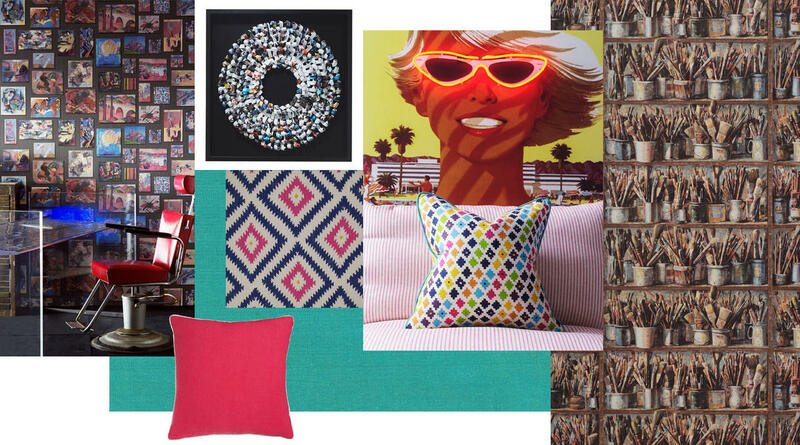 Fold away your cosy blankets and throw open the windows to brights and patterns. We've rounded up the top three interior design trends to rejuvenate your home and welcome in the emerging sun of the season. The wealth of wildlife and verdant vegetation, borne on the breath of spring, are especially prominent on the interior design scene at the moment. 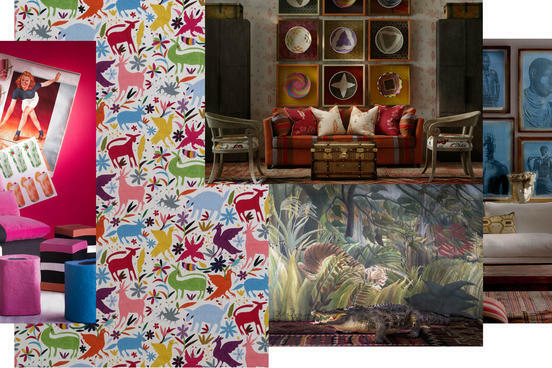 Where people are grappling to feel connected to the natural world and the awareness of environmentalism is burgeoning, animal prints and florals are appearing more and more on fabrics, wallpapers and accessories. An increasing interest in all things natural has translated into interior trends. 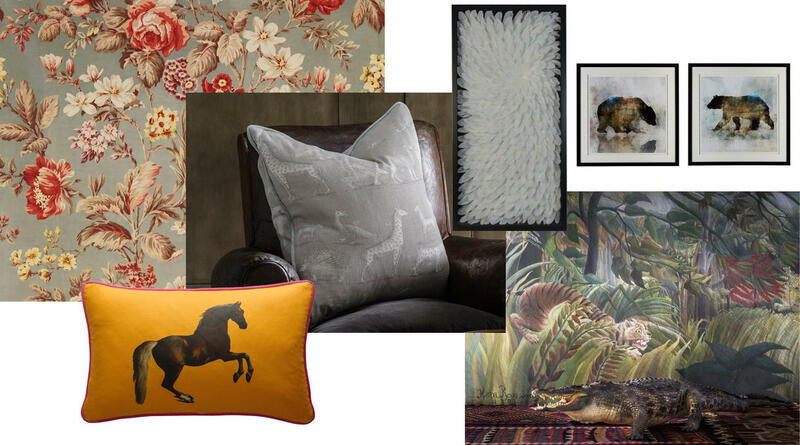 Bring in this design trend and brighten up your sofa or bed with our Caipirinha Cocktail cushion or instil spirited character into an armchair with Noah Cloud or Kingdom Paradise cushions, covered in an array of exotic animals. If you're looking for a piece to decorate your walls, discover your spirit animal in our whimsical Brother Bear print or take inspiration from birds with our three-dimensional Wings piece, a black wood frame filled with a flurry of perfectly white feathers. A cocktail of colour, contrasting textures and the eclectic expression of furniture and accessories come into their own with the abundance of spring. Your home is a reflection of you, so with this ethos in mind display all the things you love on your shelves and add more when it comes to colour and fun. 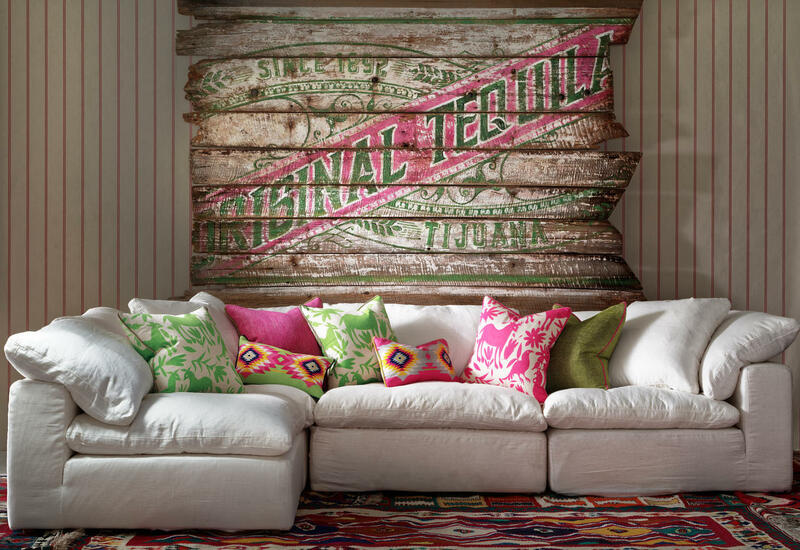 Think maximalism and its boundless energy. Create this effect with the cacophony of shades in our Paintbox wallpaper, and highlight these by throwing a selection of Piedra and Serengeti cushions across your sofa or bed that will also add varied texture to your room in pink and blue linen, turquoise silk and printed velvets. As the Andrew Martin look has always typically favoured slick, masculine style, the trend of modern lines and masculine finishes are welcome in our design schemes. Channel clean lines, metallic finishes, dark and neutral colours with sleek statement accessories reminiscent of Kelly Hoppen interiors. Men now feel more confident than ever about their interiors ideas. 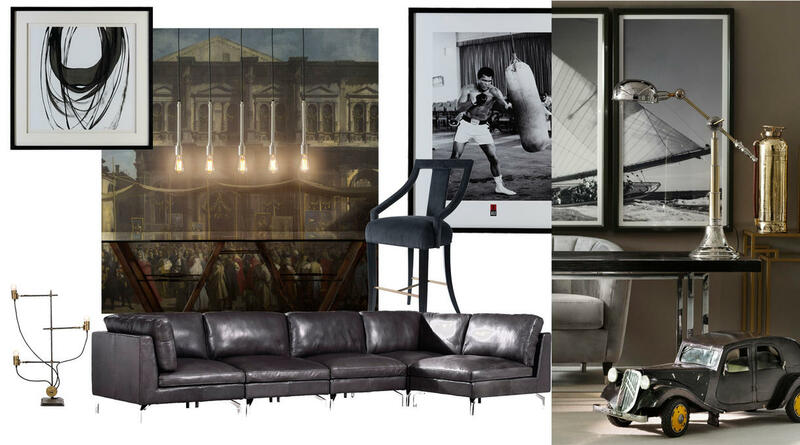 Fashion a contemporary masculine feel in your living room with angular furniture like our Kimber sofa and Atlas chair or by finishing off your bar or dining room with our Tanner bar stools. Compliment the look with a sculptural table like the clear glass Vernon dining table and pared back, metal lighting, like Nicholas, to create interest and industrial cool in your home. After perusing the halls of the Design Centre Chelsea Harbour, here is a round up of 2019 home decor trends from London Design Week.